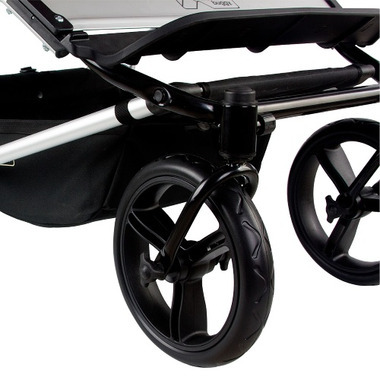 Set of 4 10" puncture-proof aerotech wheels for your duet stroller, including 2 front and 2 rear wheels. When using the aerotech wheels on the Duet, you need to remove the existing axle from the frame. The axle will slide out backwards when the gray knob is rotated forward. Aerotech rear wheels will come with the axles attached and will clip in directly from each side. 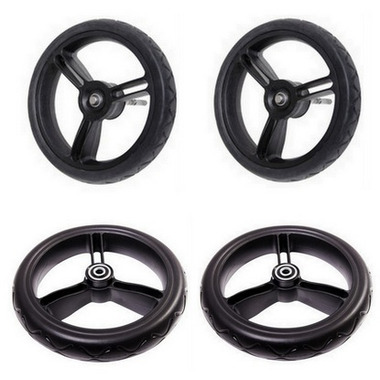 These tires seem to work great, so much better then the tires that the stroller came with (which are terrible btw). happy we spent the money on these.